Bangalore based, AI start-up Clootrack Software Labs Private Limited has raised $500K in seed funding round from Indian Angel Network, country’s largest horizontal seed stage funding platform. Led by Indian Angel Network (IAN), the round also saw participation from IAN Fund, Unicorn India Ventures (existing investor), SEA Fund and Malabar Angel Network. Anthony Thomas, Global CIO, Nissan Motors and Salliel Gupta have led the round on behalf of IAN with Anthony joining the company board. IAN investor group also includes Kris Gopalakrishnan (co-Founder, Infosys). 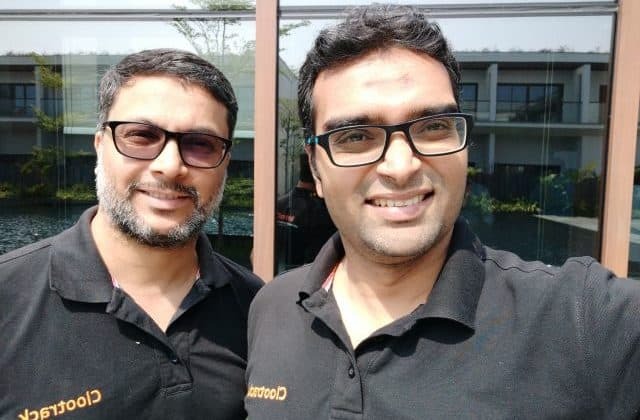 The brainchild of Shameel Abdulla and Subbakrishna Rao, CTO, Clootrack, both the founders bring serial entrepreneurship experience to the table. Shameel, an ISB drop out, holds 2 patents and has founded Jiffstore which was acquired by PepperTap and Kode Blink, a mobile app company with apps topping Appstore charts. Subbakrishna Rao, also a serial entrepreneur, has close to two decades of experience in the tech sector. Kris Gopalakrishnan, Indian Angel Network, and others back AI startup Clootrack with $500K 0 out of 5 based on 0 ratings. 0 user reviews.